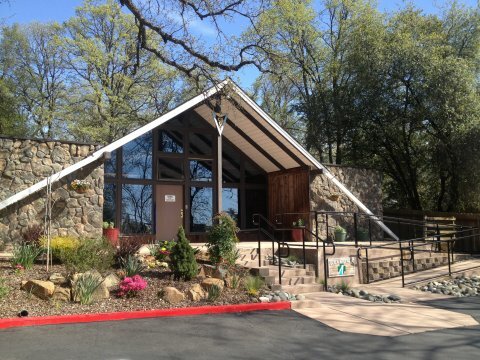 Placerville Veterinary Clinic is a full-service veterinary medical facility, located in Placerville, CA. serving El Dorado County since 1974. The professional and courteous staff at Placerville Veterinary Clinic seeks to provide the best possible medical care for their highly -valued patients. We have the simple idea that our clients expect conscientious, knowledgeable medical care and want their pets to receive from us the same kindness and consideration they receive at home. We know that every one wants the best possible care for their pets but realize that cost can be a concern. We will provide an estimate of anticipated charges before starting treatment and whenever possible make you aware of alternatives that may be more economical. We have a number of resources for you to learn about how to take better care of your pets. Browse around and look at our articles. The best veterinary care for animals is ongoing nutrition and problem prevention. If you want to ask a question call (530) 622-3943 or email us and we'll promptly get back to you. Our Placerville veterinarian office is very easy to get to, and you can find directions on our Contact Us page. You can also subscribe to our newsletter which is created especially for Placerville pet owners. In between your veterinary visits, your pet will benefit from you reading these free informative articles. At Placerville Veterinary Clinic, we treat your pets like the valued family members they are. Heather joined us after she graduated from UC Davis, School of Veterinary Medicine in 2005, and became a partner in the practice in 2010, and full owner in 2014. She has a special interest in cats, but becoming more of a dog lover every day. Heather has a cat Annie, and a German Shepherd Dog named Kaiser. She also works closely with the Diamond Springs Humane Society caring for all the cats for adoption. Becoming a Veterinarian was Heather's childhood dream, and she is thrilled to have found a career she feels so passionate about. In her free time she enjoys running, yoga, mountain biking and skiing. "Had a WONDERFUL Experience today! I had to quickly bring my Lil Taz in for a quick visit...and it was a real pleasure meeting all you LOVELY LADIES!...The facility was nice and clean..and everyone was just GREAT...and took care of my Tazzy in a jiffy!..THANKS BUNCHES!"